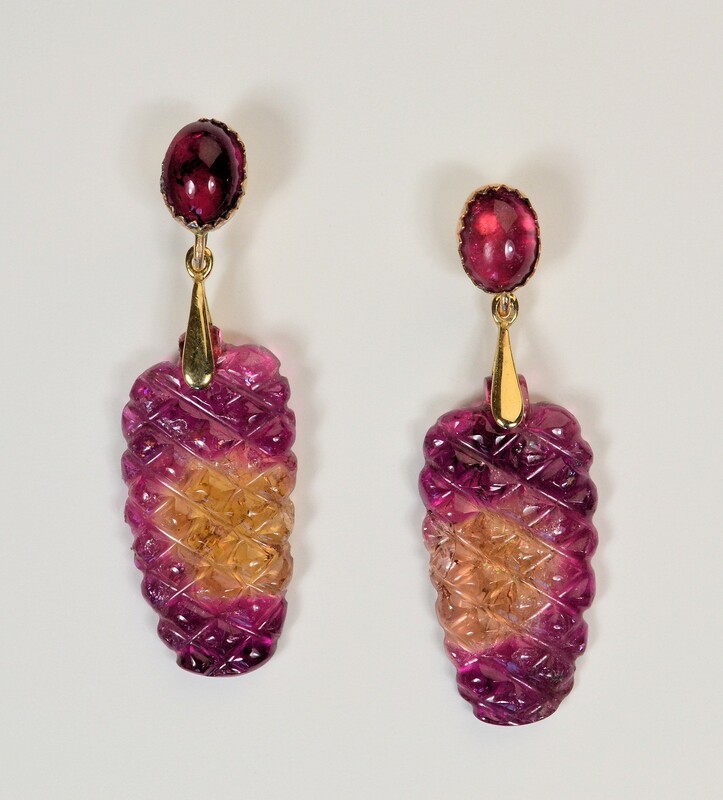 Unusual pink and gold tourmalines, carved in a fabulous grape-like pattern make beautiful earrings. The carved stones are translucent and transmitted light makes them glow beautifully when worn. Tourmaline cabochons set in 14k gold support gold posts.